Shanghai University of Traditional Chinese Medicine researchers find acupuncture effective for the alleviation of post-stroke depression and the restoration of neurological functions. The research, conducted at the university’s Shuguang Affiliated Hospital, compared outcomes from two groups: acupuncture and control. Both groups received treatment according to the China Guidelines for Prevention and Treatment of Cerebrovascular Disease. This included medications to control blood pressure, improve cerebral circulation, reduce inflammation, promote neuronal regeneration, and for secondary complications such as respiratory infections and pressure sores. In addition, the acupuncture group received a pre-selected set of acupuncture points. Primary outcome measures for the study included the HAMD (Hamilton Depression Rating Scale) and the MESSS (Modified Edinburgh-Scandinavian Stroke Scale). The HAMD scale is designed to assess depressive symptoms with higher scores indicative of more severe symptoms. The MESSS is a scale used to assess neurological function in stroke patients with higher scores indicative of more severe dysfunction. Mean baseline HAMD scores were 35.7 in the acupuncture group and 36.6 in the control group. After one week of treatment, these scores increased slightly to 38.1 in the acupuncture group and 41.3 in the control group. However, after four weeks of treatment, HAMD scores in both groups fell to 20.6 and 32.8 respectively. Four-week HAMD scores in the acupuncture group were lower than baseline (p<0.05) and were significantly lower than those in the control group (p<0.01). No significant reductions in HAMD scores were seen in the control group (p>0.05). Mean baseline MESSS scores were 25.5 in the acupuncture group and 25.7 in the control group. After one week of treatment, scores fell to 22.2 in the acupuncture group and 24.7 in the control group. After four weeks of treatment, they decreased further to 16.2 and 22.4 respectively. Both groups saw reductions in four-week MESSS scores (p<0.05), with significantly greater reductions in the acupuncture group (p<0.01). The incidence of depression in each group was also taken into consideration. At baseline, 22 patients in the acupuncture group and 24 in the control group were classified as suffering from depression. After one week of treatment, these figures fell to 17 and 22 respectively. After four weeks of treatment, just seven patients in the acupuncture group were classified as depressed compared with 20 patients in the control group (p<0.05). A total of 60 acute stroke patients were randomly assigned to the acupuncture group or control group with a 1:1 ratio. The acupuncture group was comprised of 14 male and 16 female participants, ages 36–75 years (mean age 57 years), with a disease duration of 4–30 days (mean duration 15.6 days). The control group was comprised of 13 male and 17 female participants, ages 40–75 years (mean age 58 years), with a disease duration of 5–30 days (mean duration 15.6 days). There were no statistically significant differences in baseline characteristics between the two groups (p>0.05). A diagnosis of acute stroke was made according to the China Guidelines for Prevention and Treatment of Cerebrovascular Disease and Draft Recommendations for Classification and Treatment of Strokes, and was confirmed by CT or MRI scans of the brain. For inclusion in the study, patients were required to be conscious and in a stable condition, ages 18–75 years, and capable of giving informed consent to participate. Exclusion criteria included aphasia or impeded communication, a previous history of depression, antidepressant medication use or other treatments for depression, concurrent heart, liver, or kidney dysfunction, hematologic or endocrine disorders, and infectious diseases. For patients with deviation of the mouth, Jiache (ST6) and Dicang (ST4) were added on the affected side. For patients with paralysis of the arm, Jianyu (LI15), Quchi (LI11), and Shousanli (LI10) were added on the affected side. For patients with paralysis of the leg, Huantiao (GB30), Yinlingquan (SP9), Yanglingquan (GB34), and Fengshi (GB31) were added on the affected side. 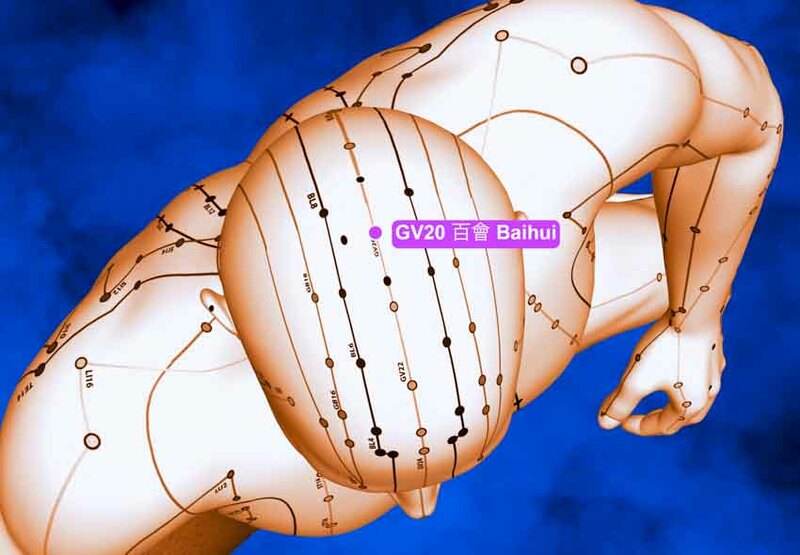 For patients with foot drop, Qiuxu (GB40) penetrating to Zhaohai (KD6) was added on the affected side. Treatment was administered with patients resting in a supine position. Before treatment, the acupoints and surrounding areas were disinfected with 75% ethanol on a cotton swab. Using 0.35 × 40mm needles, Baihui and Sishencong were inserted to a depth of 15–20 mm. Needles at Baihui were inserted from posterior to anterior, following the line of the Governing Vessel. Needles at Sishencong were inserted toward Baihui. Neiguan and Hegu were inserted to a depth of 15–25 mm, Zusanli and Xuehai to a depth of 25–38 mm, and Taichong and Taixi to a depth of 15–20 mm. Following insertion, needle depth was adjusted according to local muscle thickness. Needles were manipulated by hand using a twisting-rotating technique, and after the arrival of deqi, were retained for a total of 30 minutes. Treatment was administered daily for six days per week and continued for a total of four weeks. The outcomes of this study indicate that acupuncture reduces both the incidence and severity of post-stroke depression while simultaneously improving neurological recovery, and is more effective than usual care alone. Treatment may be more effective when administered as early as possible once cerebral bleeding has stopped and the patient is in a stable condition. Chen Aiwen, Gao Yuan, Wang Guantao, Li Jia, Shen Weidong (2018) “Effect of early acupuncture on post-stroke depression: a randomized controlled trial” Chinese Acupuncture and Moxibustion Vol.38 (11) pp. 1141-1144.